Concerned you may be experiencing a rodent infestation on your property? Consult our educational resources to identify the problem. Learn more about how to get rid of moles and gophers here and then call the LandCare Mole and Gopher team for a consultation. Learn what vermin is in your backyard, and how to get rid of them. While not a comprehensive list of the types of gophers and moles in the wild, these are the typical infestation culprits in the Pacific Northwest. If you see any of these burrowing in your backyard, call LandCare Mole and Gopher to stop the damage before it gets worse. Mole extermination is a job best left to the professionals. Do not be tricked by sites selling DIY mole traps or teaching you to kill moles yourself. See our list of common mole trap schemes and steer clear of wasting time and money. 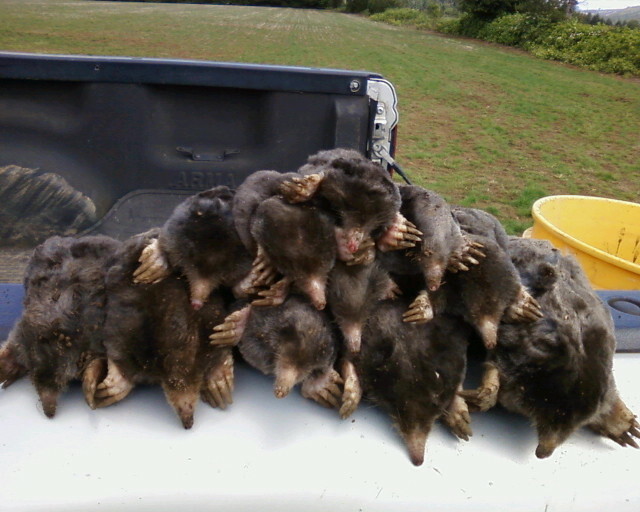 Eliminate your mole, vole and gopher problems safely and efficiently with LandCare Mole and Gopher. Can I use gopher repellent at home? Is there a safe way to exterminate moles by myself? How do I know what is in my yard? Get answers to these questions and many more in our rotating monthly question series. Do you have a specific question for the LandCare team? E-mail us and we might answer it here!